This morning’s ‘mystery’ ride had three takers arriving at Rippleside Park – David J, John M and Helen. 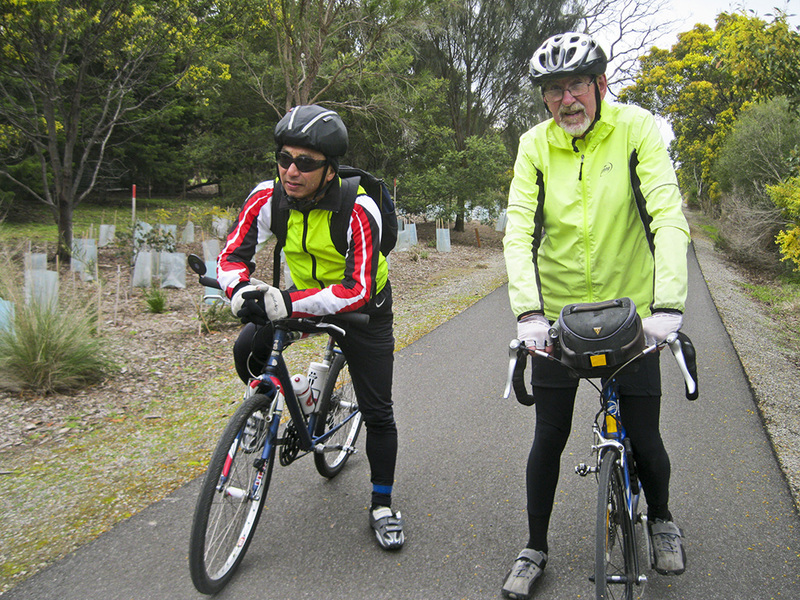 David led an easy ride to Drysdale via a combination of the road and the Bellarine Rail Trail. Coffee at Ground Zero was welcome after the misty cold. The return to Geelong was mainly on the rail trail, very beautiful with wattle in flower. This entry was posted in Ride reports and tagged Bellarine Rail Trail, Ground Zero Cafe Drysdale by hlyth2013. Bookmark the permalink.